Young Wilson quit school at 16, and joined the US Army in Germany where he discovered the blues at a concert. "In Edenton we used to listen to gospel and to country music played at the local radio station. I didn’t know what the blues was before”, Wilson says. After this experience, he went on stage, jammed all over the German blues scene, and made a strong impression with his warm and soulful voice. With his international solo debut on the German RUF Records four years ago, Big Daddy Wilson took it one step further in his late career as a musician. Now he proposes his new album “I’m Your Man” on the French label Dixiefrog, including his own compositions as well as the song “Hold The Ladder” written especially for him by his long-time friend Eric Bibb. The CD was produced in Sweden by Staffan Astner (Eric Bibb’s guitarist) and Sven Lindvall (who plays upright bass,electric bass and tuba on the album). 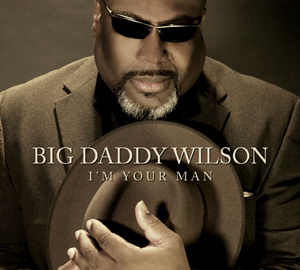 Big Daddy Wilson is always busy with concerts in clubs and festivals all over Europe. A new album by this bluesman who hails from North Carolina but sings like no one else. This CD switches between acoustic and electric blues with strong soul and gospel influences. Produced by Big Daddy Wilson, Eric Bibb and Staffan Astner, who, together, co-wrote most of the songs. The guitar playing was shared by Eric and Staffan and Big Daddy’s magic voice brings in an irresistible glow. 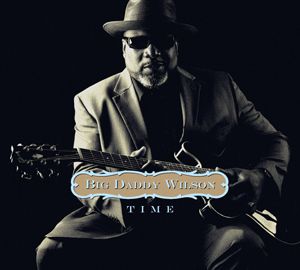 Bluesman Big Daddy Wison hails from South Carolina but has been living in Europe for many years now. This is only his third album, since he discovered his passion for the blues and started recording relatively late; the sound quality, the quality of the arrangements and of the compositions are remarkable. If his interpretation of the blues is close to rock, the soul and gospel sounds are always close, and the electric guitar flirts with the tuba, the violin or the clarinet – and the deep voice of Big Daddy creates a communicative warmth that is difficult to resist.